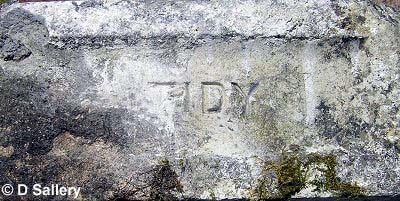 Examples of tiles produced at the Tidy Brick and Tile company, Amlwch around 1906. Just before the first world war the quality of the kiln firing seems to have worsened. This is rum=oured to have been because of disagreement�s between Charles Tidy and his foreman. Even today around the site examples of under fired bricks can be seen slowly disintegrating while the over glazed bricks remain fused together in piles. 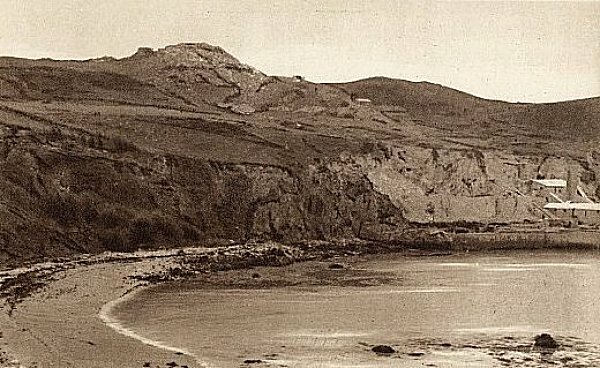 Taken from an old postcard by kind permission of Andrew Morris. This shows the clay pit to the left of the works and the stone quarry higher up. Also clearly seen are the two drumhouses on the tramway incline to the quarry. 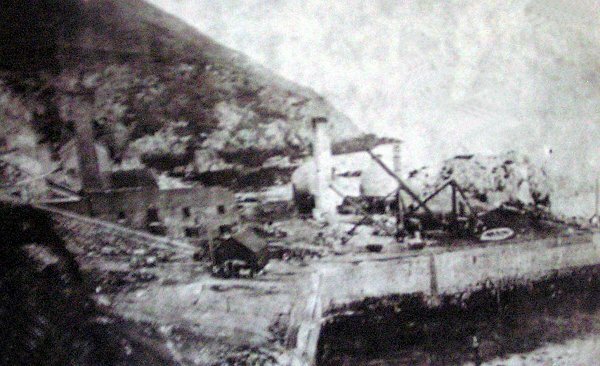 A view of Porth Wen with two possible bottle kilns under construction. This photo is a bit of a mystery as it shows no sign of the beehive kilns. The bottom of the tramway incline can be seen on the left.